Here’s a short tip that I just learned, that’s already been a lifesaver. Usually when we shoot two or more cameras, before I do anything else in Final Cut, I like to organize the clips in two ways. 1) Place Camera 1 clips and Camera 2 clips in separate folders before importing, so that when you import, the folders become Keywords. 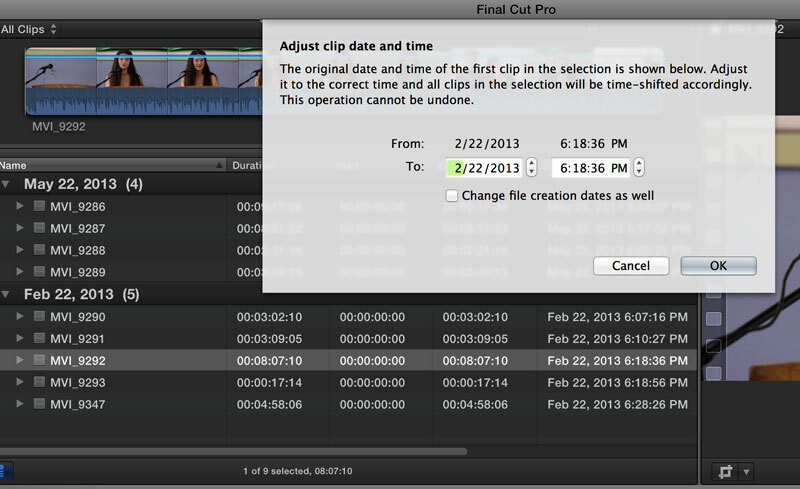 2) I like to group all my clips by content creation, so that when I’m choosing clips to add to my project, I can choose between Camera 1 and Camera 2 clips from the same timeframe. But what happens when the two cameras had internal clocks set at completely different times? Actually, this happens quite often. Whether it’s battery changes or Magic Lantern installs, the internal camera clock tends to change months/days/hours. 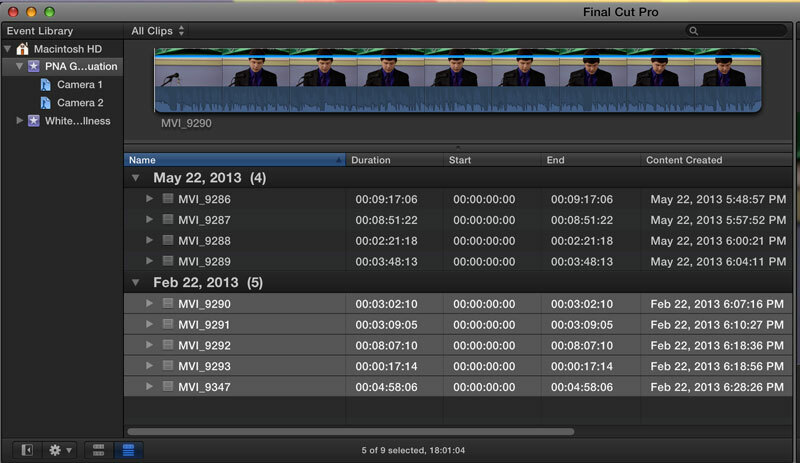 And seeing these clips grouped far from each other is quite annoying. That’s where this handy tip comes in! 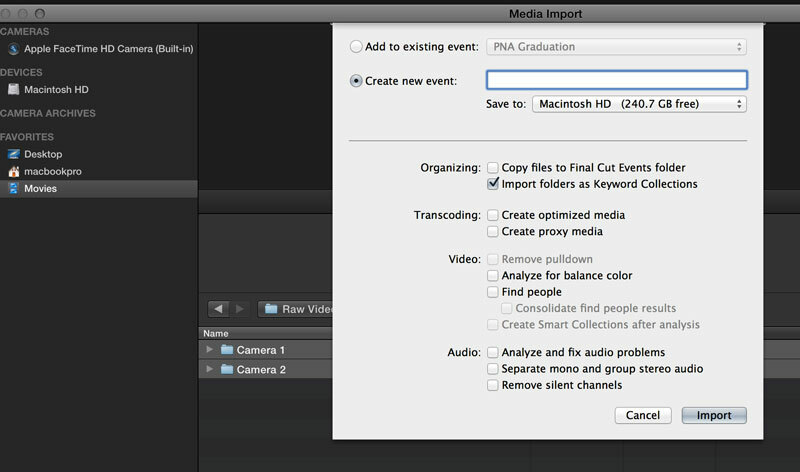 Select your Camera 1 or Camera 2 files, go to Tools, Modify -> Adjust Content Created Date and Time. Now you can add or subtract months/days/hours/minutes to match up the two cameras. I’m not sure if changing the file creation dates is a good idea or not. Anybody have a specific recommendation?